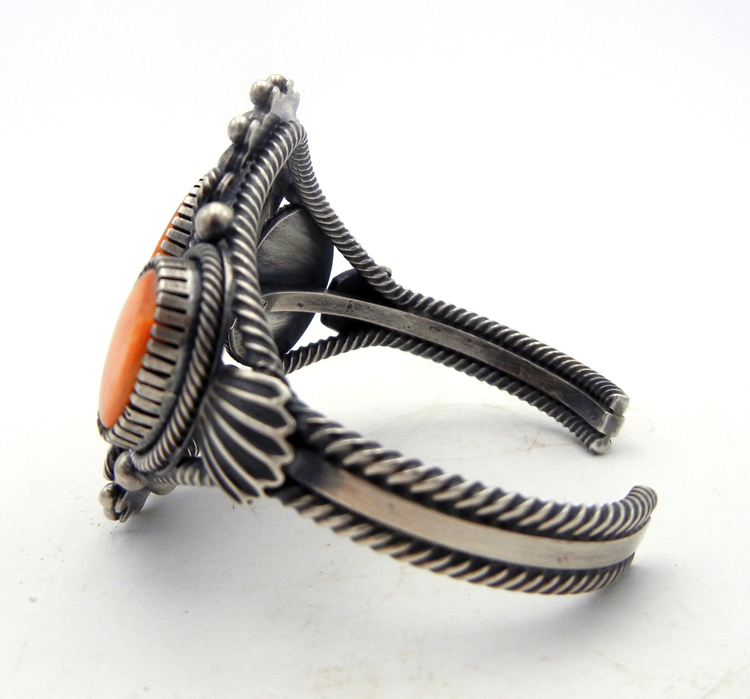 Three bright orange stones of orange spiny oyster shell stand out beautifully against brushed sterling silver in this gorgeous Navajo cuff bracelet. 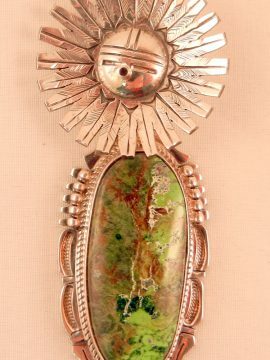 The largest of the three oval stones rests at the center, with one smaller resting on each side. 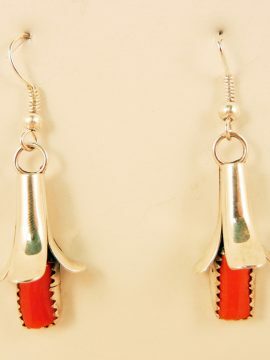 The stones are set in sterling silver bezels cut out with fine lines, giving them a textured effect. 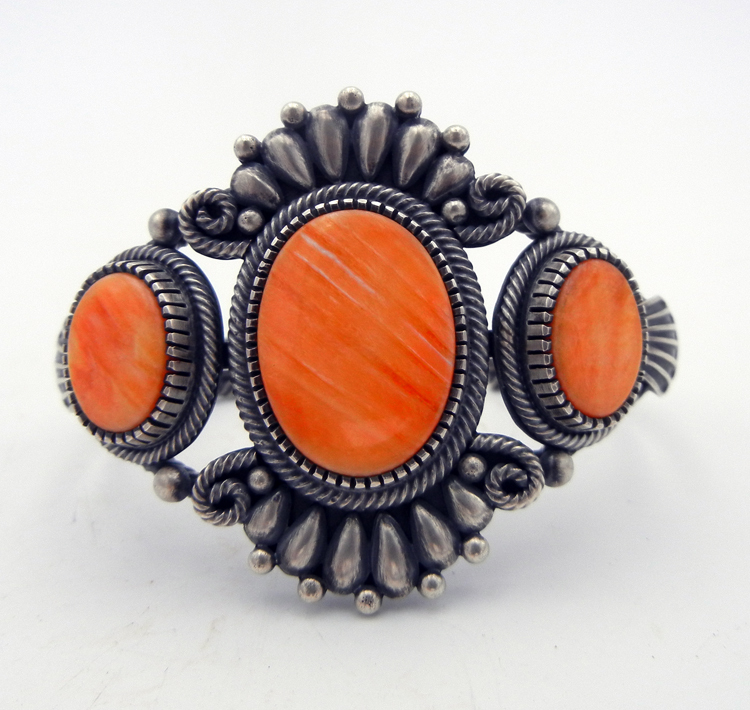 The stones feature white striations, and are surrounded at the base by sterling silver rope patterns, while the center stone is bordered on top and bottom by additional sterling silver applique work. 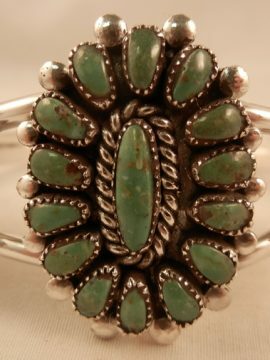 Stones and silver work rest atop a split sterling silver shank, the top and bottom portions of which comprise sterling silver rope patterns. 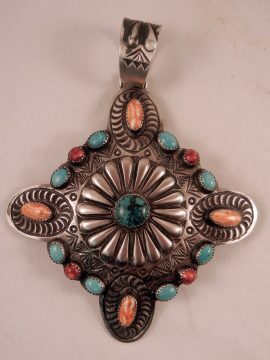 Brushed sterling gives the piece a vintage look. 1 7/8″ wide with an inner end to end measurement of 5 1/4″ and a 1 3/16″ opening. Cuff is slightly adjustable.